How to Make Authentic Five-Spice Edamame While You Are Watching TV? Summer is just around the corner. Are you excited about the beach party, family vacation, and all kinds of fun stuff? I am! And one thing I always ask before I go anywhere, either on a plane, or relaxing on the beach, is what to serve as a snack. Now you can really say I am a foodie, huh? That’ fair, haha! And I want to share my experience with you. Today’ recipe will work out exactly this way! After a simple cooking process, you are open to many practical applications – you can pack them in a zip lock bag for your kids before they go to school, or watch movie while mindlessly stuffing it into your mouth, or serve at a party snack bar along with the beer, to name a few. There are so many options! I just love it! It’s a super easy and healthy Chinese dish, or a Chinese snack I guess you may call it. Sometimes when I am too tired to do stir-fries, such as my all time favorite Moo Goo Gai Pan dish, I tend to cling on something ridiculously easy and healthy. Today’s recipe definitely tastes a lot different than the salty one you can find in the Japanese restaurant. Chinese people like five-spice flavor a lot. Sometimes we just simply use the five-spice powder, which is a combination of star anise, Sichuan pepper, fennel, cloves and cinnamon. But in this recipe, we buy solid ingredients separately and use them together. The key difference is the authenticity of taste. Powder cannot do the trick here, as we need some real stuff! So now I am gonna reveal how you can make this healthy Chinese dish while you are watching TV! Of course, you have to check the kitchen once a while! I am just hoping you can overlook the kitchen from your TV room. That’ll make a perfect scenario here. Now let’s get started! There is no set amount of salt indicated in this recipe, because it depends on how much water you put into the pot (it can vary, but should at least cover the edamame and ingredients). This whole process involves soaking and boiling. To maximize the flavor, it’s recommended to follow this sequence: boil-soak-boil-soak. Cut the two edges of edamame. Soak in cold water and wash a few times. Add star anise, cinnamon, bay leaves, Sichuan peppercorn, fennel seed and ginger to a pot of water. Add salt. Cover the pot and bring the water to a boil over high heat. Switch to low heat and continue boiling for 15 minutes. Soak the edamame in the pot until 30 minutes after the water gets cold. Turn on low heat and boil for 15 minutes then remove from heat. Continue to soak edamame for 2 hours. Ready to go! Best served after chilling in refrigerator. 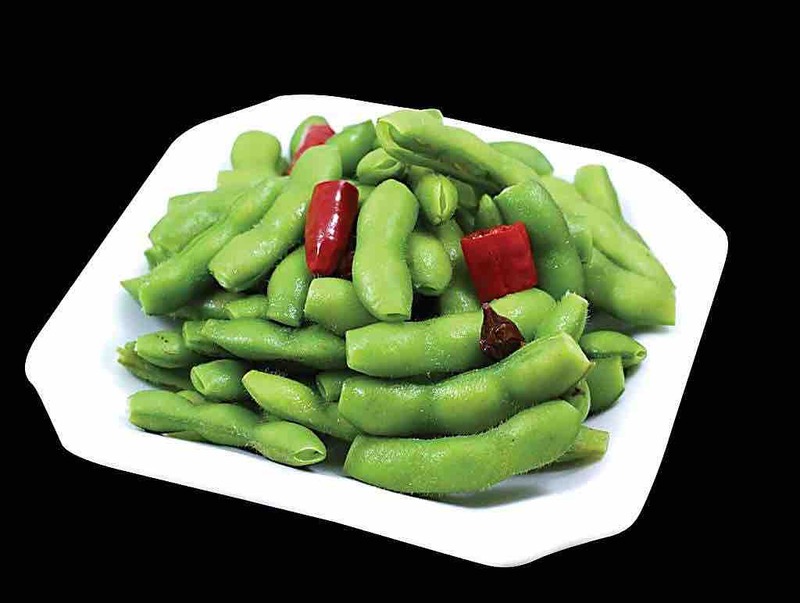 Author Amy & YanPosted on 04/22/2016 Categories Simply Easy Chinese Food RecipesTags EdamameLeave a comment on How to Make Authentic Five-Spice Edamame While You Are Watching TV?